Shelly Hamula is a speech-language pathologist in Salt Lake City, UT. Practice Type: • Speech Hearing Center/Clinic Practice Areas: • Speech Language Pathology • Speech Therapy Take the next step and contact Shelly Hamula for a consultation in Salt Lake City, UT or to get more information. Hello! We would be happy to help you with any of the following: -	Speech and Language delays -	Aphasia -	Swallowing -	Accent modification -	Tongue thrust -	Myofunctional therapy -	Stuttering -	Cognition -	Voice We accept most insurance plans. We have low self-pay rates as well. Give us a call. We look forward to speaking with you. Jayna Collingridge is a speech-language pathologist in Herriman, UT. Practice Type: • Speech-Language Treatment Center/Clinic Practice Areas: • Speech Language Pathology • Speech Therapy Take the next step and contact Jayna Collingridge for a consultation in Herriman, UT or to get more information. Gary Wilson is a speech-language pathologist in American Fork, UT. Practice Type: • School Practice Areas: • Speech Language Pathology • Speech Therapy Take the next step and contact Gary Wilson for a consultation in American Fork, UT or to get more information. TheraV is a network of licensed professionals that see clients all over the world. Our therapists are all licensed and appropriately credentialed. Our therapists have backgrounds in various disorders and use evidenced based practice in their treatment. Each client has treatment tailored to their needs. We would love to have the chance to help you. Are you looking for faster results? 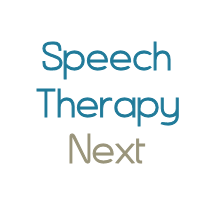 Summit Speech Therapy is the answer you've been looking for! Nesha Naud is a speech-language pathologist in Riverton, UT. Practice Type: • Home Health Agency - Client's Home Practice Areas: • Speech Language Pathology • Speech Therapy Take the next step and contact Nesha Naud for a consultation in Riverton, UT or to get more information. Jennifer Hutchinson is a speech-language pathologist in Taylorsville, UT. Practice Type: • Home Health Agency - Client's Home Practice Areas: • Speech Language Pathology • Autism Take the next step and contact Jennifer Hutchinson for a consultation in Taylorsville, UT or to get more information. Michael Blomgren is a speech-language pathologist in Salt Lake City, UT. Practice Type: • College University Practice Areas: • Speech Language Pathology • Fluency and fluency disorders Take the next step and contact Michael Blomgren for a consultation in Salt Lake City, UT or to get more information. Kellie Talley is a speech-language pathologist in Herriman, UT. Practice Type: • Private Physician's Office Practice Areas: • Speech Language Pathology • Speech Therapy Take the next step and contact Kellie Talley for a consultation in Herriman, UT or to get more information.